"An emotionally moving tale with three-dimensional characters, The Story of Lee is highly recommended"
"With beguiling subtlety, The Story of Lee explores themes of cultural difference, mixed-race-relationships, family and friendship pressures and the often-insurmountable barrier of different childhood experiences and expectations to weave an enchanting tale of independence, interdependence and isolation. Moving and memorable, this is a timeless tale for modern lovers that you really should enjoy." -Win Wiacek, Now Read This! Lee, living in Hong Kong, meets Matt, a fine young Scot. Their relationship becomes stronger by the day, despite their deep cultural differences. But there is Lee’s Dad to contend with who views this affair very suspiciously. And there is another contender for Lee’s heart, a Chinese young man, whose jealousy takes on twinges of xenophobia. Will Lee and Matt’s relationship successfully cross the cultural divide and overcome the negative odds? Two worlds collide creating good sparks... and bad ones. 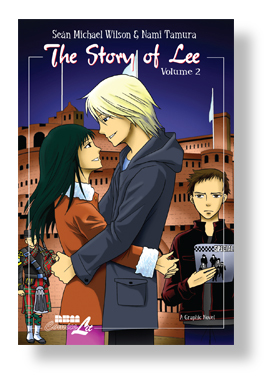 "Drawn with the iconic faces and screentones manga aficionados cherish, and written with a sensitivity to the passion of first love, The Story of Lee is a story to move any heart." "Made me feel warm and fuzzy. [The authors'] familiarity with the turf wars gives this unpretentious East-meets-West, boy-meets girl story an easy, breezy sense of verisimilitude." "It's an old setup done effectively and believably. If anything, the story feels too true to life as Hong Kong, Korea, China, and Japan all have no shortage of aimless 20-something foreign men, many of them making ends meet teaching English and enjoying the occasional tryst with a local girl. Wilson and Kutsuwada's story tells such a tale from the girl's perspective, faithfully reproducing real Hong Kong locales. 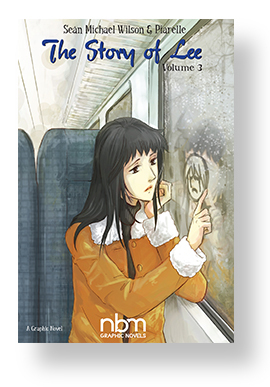 The artwork, particularly the characters, is crisp and expressive, and the story faithfully reproduces a believable slice of life." "Handles its appealing cross-cultural love story with a deft sweetness." "A pretty strong outing. Young women should eat this one up." "The fear of cultural imperialism, the dread of loss, the collapse of family, the still-prevalent and widespread sexism in both Eastern and Western society - big themes, but present in every intercultural love story. Chie Kutsuwada's delicate art and Sean Michael Wilson's frank script sum up the tensions in 'The Story of Lee'. This isn't just a book for teens, but something parents should read, both to remember their own years of surging hormones and thunderous emotions, and to understand the strange land their children inhabit." - Helen McCarthy, author of 'The Art of Osamu Tezuka'. 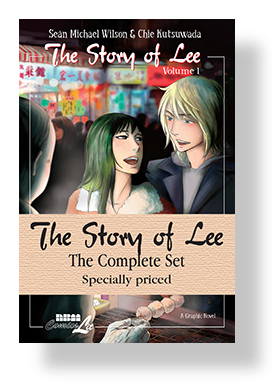 "I very much enjoyed ' The Story of Lee.' It took me to a place I'd never been before - not just Hong Kong, which Wilson and Kutsuwada bring vividly to life. But equally as interesting was the way that the creators explore the worlds of their interesting and complex characters. 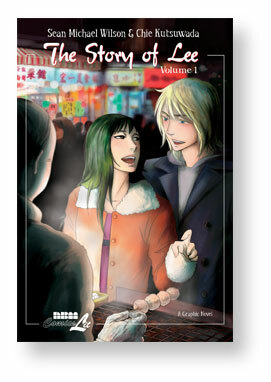 It's the worlds of these characters that makes 'The Story of Lee' so memorable." - Jason Sacks, Comics Bulletin. Find out more about Sean Michael Wilson in a great article in the paper The Scotsman as well as an interview in the Japan Times. 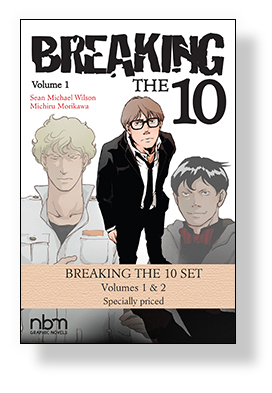 Specially priced 2 volume set of the full story. When David loses his wife and child in a tragic car accident he decides, in anger at the cruelty of the event, to turn against God. He sets out to systematically break each of the Ten Commandments in order to both spite God and to get his attention! But will he go all the way, and break the commandment 'Thou shalt not kill'? Two mysterious figures, Mr White and Mr Black, try to win David over to their side: the religious or the humanistic. Deeply sad in parts and comical in others, this modern story explores age old questions: Is there a God? And if there is, does that God care about us? When David loses his wife and child in a tragic car accident he decides, in anger at the cruelty of the event, to turn against God. He sets out to systematically break each of the Ten Commandments in order to both spite God and to get his attention! But will he go all the way, and break the commandment 'Thou shalt not kill'? Two mysterious figures, Mr White and Mr Black, try to win David over to their side: the religious or the humanistic. Deeply sad in parts and comical in others, this modern story explores age old questions: Is there a God? And if there is, does that God care about us? "Michiru Morikawa has a delicacy to her art, and a fine way of personalizing the cast during dialogue free sequences, although some of these would originate in the script. She's very good indeed, and David's characterization is as much down to her strong emotional depiction as any dialogue. 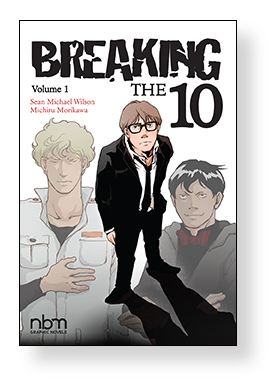 Despite the topic, much of the graphic novel is contemplation and conversation, yet there's never a dull looking page." "Superbly engaging and wickedly barbed tale of lost love, disillusionment and grief-filled reaction that is both hilariously acerbic and potently thought-provoking." "Compelling, thought-provoking, and highly recommended." 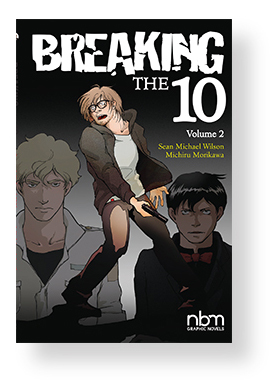 "Top 16 graphic novels of June." "Another riveting read… unreservedly recommended." "Enquiring, engaging and utterly entertaining, this is a parable no saint or sinner should miss and every questing thinker should consider."